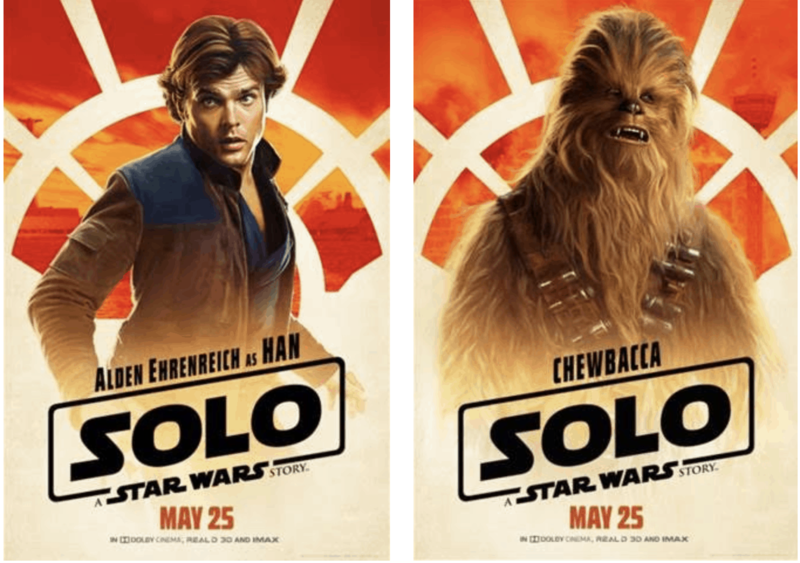 I have free Star Wars coloring pages for you to download in celebration of the fact that SOLO: A STAR WARS STORY is opening in theatres everywhere this Memorial Day weekend (May 25th). I am just so excited about the movie and I know these coloring pages are going to hold me over. Can you believe it? It’s right around the corner. As you know, May 4th is also a pretty special day. To get you ready for all the great things that May has in store for Star Wars fans, I wanted to pass along these free Star Wars coloring pages showcasing some of your favorites. There are five different options to choose from and I would love for you to have them all! Each link has a new design for you to experience. All you have to do is click on any of the above links and download them to your computer. Then print as many copies as you’d like! Gearing up for all the excitement. I love going back in time as we head to the future. When you dive deep into a character’s history – all thanks to these new releases – it allows the audience to learn a bit more about the people we all grew up with. It’s all very convoluted if you think about it. A twisted galactic web if you will! But I will take it. I’m grabbing my vat of popcorn and I am nestling in for the ride because I know it’s going to be a good one. Looking for some more Star Wars fun? Check out these Solo and Wookie heels. No, really – you don’t want to miss them. If you want to see my kids in a Star Wars commercial, check out this promotion they did for the Disney Cruise Line. It was SUPER FUN. Speaking of the Star Wars Disney Cruise… you need to take one. Also, before I let you go, if you are shopping for a Star Wars fan, check out my gift guide! I typically really like these types of movies but for some reason I don’t think I am going to be seeing this one. I love Harrison Ford too much that I would just be judging this main actor against him the whole movie! Thanks for the printable coloring pages. Going to grab them now for my nephews, who are huge Star Wars fans!